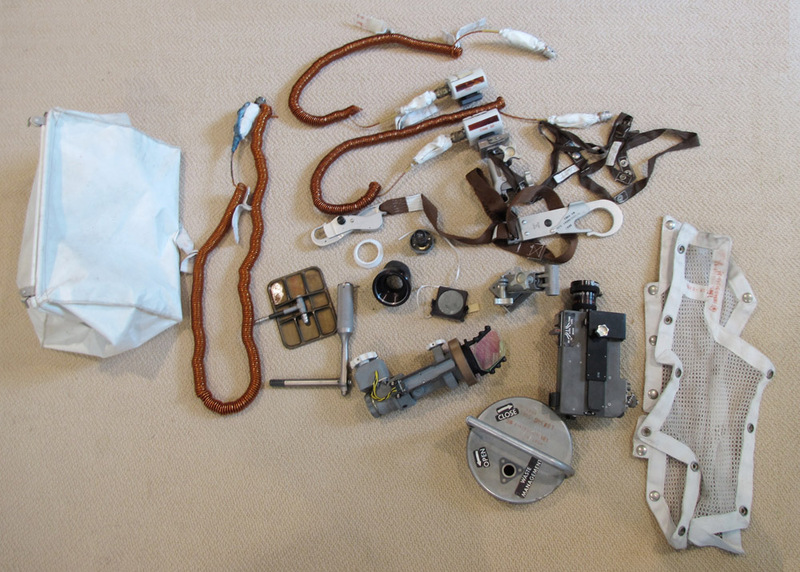 What Was In the Purse Neil Armstrong’s Widow Found in Their Closet? After Neil Armstrong’s death his widow, Carol, discovered a white, cloth bag in a closet, containing flight and space related artifacts. 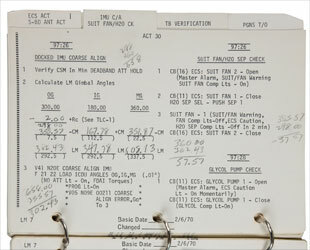 The curator of the Apollo collection at the Smithsonian’s National Air and Space Museum determined the items were lunar surface equipment carried in Apollo 11’s Lunar Module Eagle. The bag they were in was nicknamed a McDivitt Purse, named that way in honor of Apollo 9 Commander Jim McDivitt. Of special note is the 16mm movie camera with its 10mm lens. The camera was mounted behind the right forward window of the lunar module and was used to film the final phase of the descent to the lunar surface, the landing, as well as Neil Armstrong‘s and Buzz Aldrin‘s activities on the lunar surface including taking the first samples of lunar soil and planting the US flag. The items are now at the National Air and Space Museum for preservation, research and eventual public display. The are classified as a loan from the Neil Armstrong family because of a law passed in 2012 that grants certain U.S. astronauts “full ownership rights” to their space artifacts. The law states that America’s early space pioneers and moon voyagers are the legal owners of the equipment and spacecraft parts they saved as souvenirs from their missions. Then when I saw the camera my first thought was to quote Indiana Jones, “It belongs in a museum!” Next I read the story over at Space Collector about these items and Americans’space race objects in general. There is a long story behind ownership of these items. The loan to the Smithsonian would not have been possible had the bill not been created by a Texas Republican, Rep. Hall, Ralph M. [R-TX-4] and then signed by Obama. The law made what Armstrong had in the purse legally his property. Otherwise the might have been seen as items taken from his day job while working for the government back in the 1960’s. Various people have commented that Armstrong should be able to take whatever he wanted because hey, He’s Neil Armstrong! Others have asked, Does that mean it’s okay to steal from your government job? What should we do about astronauts who have these objects? Demand they return them? Arrest them for theft? Confiscate them? What if your checklist from the 1970’s was worth almost $400,000? Government agents knocking down doors of astronauts to get taxpayer’s property back would be bad PR. Hence the law. What Good Is Space Junk? I’ve been a fan of the space program since I was a little Vulcan. I remember eating “space sticks” and drinking Tang. I also knew that this was an amazing achievement that lots of people wanted to be a part of. It was specifically something that Americans could be proud of, working together to create, not destroy. Yes, I know the space race was driven by “We have to beat the Russians!” but the goal was also directed upward, not directly toward the Russians. It feels like today the only way we will get back to the Moon, or Mars, is if we find out terrorists live there. We always can find money to fund “protection” from things we are afraid or we want to destroy but not for things that help or inspire people. I also think about the “value” of items that were created by the taxpayers getting transferred to individuals. Of course in the Lovell checklist case they were told by their managers they could keep these items, and the value is partly related to the provenience of the piece and its history. We have gotten tremendous value from our space program overall and deeding the personal mementos of astronauts to them and their families isn’t going to detract from that. But increasingly we see the assets created by the public being turned over to private entities who then can extract the value from something that we payed for and created. I personally have my own mementos of the space race, a signed mission patch of from Alan Bean, but I’ll part with it for say… 100k, serious offers only. I take bitcoins and Quatloos.